If you’ve ever thought of having a cute tiger cub as a pet, you’re not alone. And if you did go through with the unwise act of owning a big cat, there likely would come a time when you could no longer care for the critter as he got bigger and bigger and BIGGER. That’s where the Exotic Feline Rescue Center comes to the, well, rescue. Tucked away down a gravel road outside the town of Center Point, the home for unwanted cats is one of many animal sanctuaries that can be incorporated into an Indiana group itinerary. The state also has several outstanding zoos, plus some crowd-pleasers that focus on a particular species. The Indianapolis Zoo, located in downtown’s White River State Park, is home to more than 1,600 animals exhibited in five habitats, or biomes, representing ecological groups of animals and plants based on climate and geography. Roaming the Plains area, for example, are African lions, elephants, zebras, rhinos, cheetahs, giraffes, wildebeests and ostriches. In the Oceans biome, dolphin presentations take place in one of the world’s largest dolphin pavilions, which boasts the nation’s only underwater dolphin-viewing dome. Flights of Fancy, with bird-feeding opportunities and a 4-D theater, features walk-through aviaries teeming with hundreds of exotic birds, from cockatiels and parrots to flamingos and guinea fowl. Skyline, a slow-moving, gondola-style ride taking guests up to 50 feet off the ground, offers great views of the zoo, especially occupants of the famous Simon Skjodt International Orangutan Center, and downtown Indianapolis. The zoo has one of America’s largest groups of orangutans, an endangered species on the verge of extinction in the wild. In Evansville, the big news at Mesker Park Zoo & Botanic Garden is the recently unveiled Engelbrecht Carousel, whose hand-painted animals range from the traditional carousel horse to more exotic species like the red panda and Magellanic penguin. To keep guests further amused between animal encounters, the park also has bumper boats and a central lake with paddleboat rentals. Visitors to Mesker Park make a loop around the world, following a path over rolling hills that takes them past spacious, naturalistic enclosures populated by creatures from Africa, Australia, Asia and North America. A zoo highlight is the glass-enclosed Amazonia rainforest exhibit, a “greenhouse” for mammals, reptiles, birds and fish from South America; see jaguars, black howler monkeys, toucans, boas, giant cockroaches and red-bellied piranhas as you stroll past waterfalls, palms, bamboo and other tropical vegetation in this jungle setting. 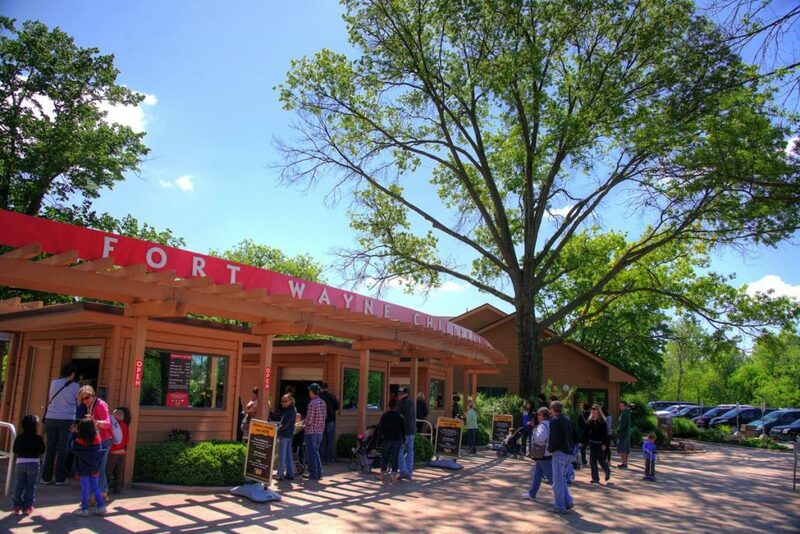 The highly rated Fort Wayne Children’s Zoo really appeals to all ages, but lower barriers and a number of interactive features make it especially kid-friendly. Besides looking at animals, visitors can pose with an orangutan statue, lie on a hammock and hit an Indonesian gong. Other activities include taking the Skyride over the African Journey grounds, hand-feeding giraffes and watching the daily sea lion feeding. The recently remodeled Australian Adventure features a shark aquarium, three new aviaries, and habitats for dingoes and kangaroos. Come nose-to-nose with Sumatran orangutans, a python and Komodo dragon under the geodesic dome at Indonesian Rain Forest. 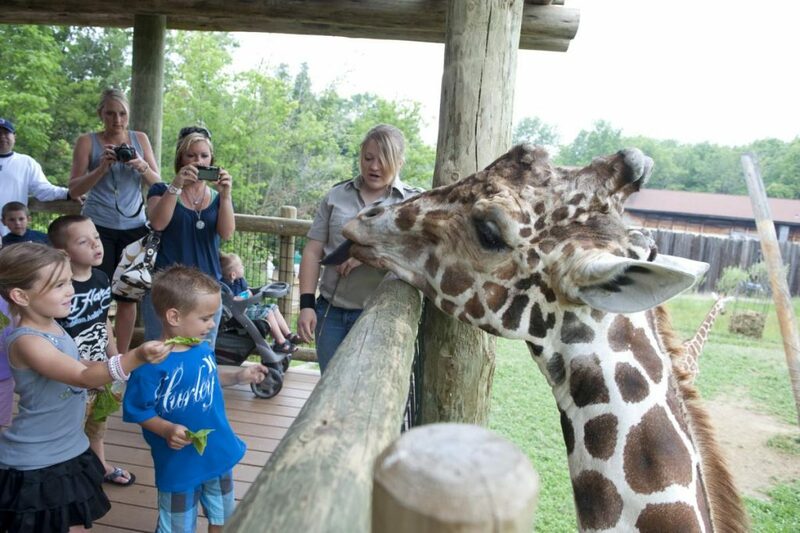 Wilstem Ranch, between Paoli and French Lick, offers a chance to get acquainted with two African favorites in the Elephant Encounter and Giraffe Encounter. 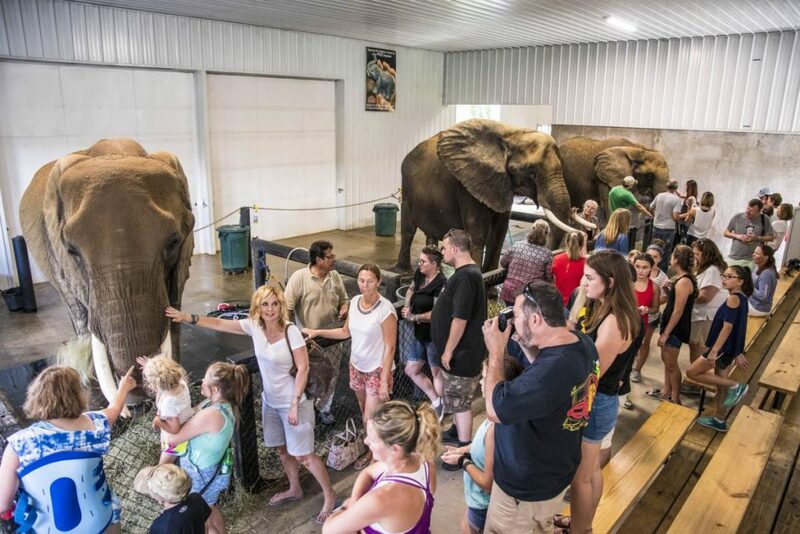 The hour-long “Educational Seminar” with the three female pachyderms—43-year-old Makia, Lovie (age 33) and Lou (32)—features a question-and-answer session and a chance to touch the girls and pose for photos with them. In the two-hour “Spa Appointment” experience, guests can take part in bathing the elephants and polishing their toenails before the seminar. 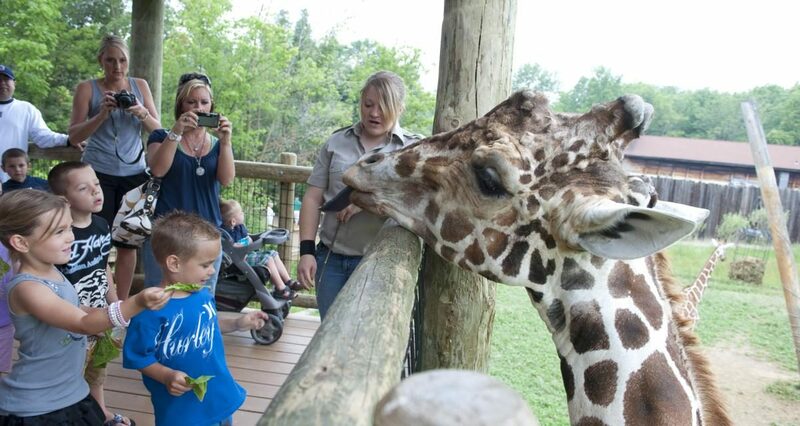 The new 30- to 45- minute Giraffe Encounter, introduced last year, includes an opportunity to feed the long-necked animals. Private sessions with the elephants and/or giraffes can be arranged for groups. On a tour of the Exotic Feline Rescue Center (EFRC) in Center Point, groups will see 50 to 60 big cats, mostly tigers. Other species in the outdoor enclosures include lions, cougars, servals, lynx and leopards. 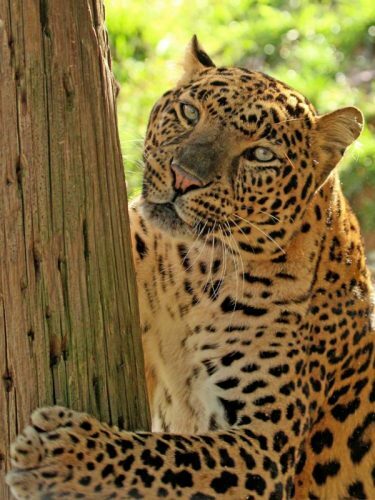 EFRC is the second-largest big cat sanctuary in the U.S. and the largest open to the public. The cats come from zoos, circuses, magic shows and individuals who could no longer keep them as pets; many were malnourished or otherwise abused. Devoted guides are motionally displaced, captive-raised exotic animals—but not just big cats. Its nearly 100 residents count bears, monkeys, reptiles and parrots as well. Groups can arrange behind-the-scenes tours that include places not seen on the general tours, and there are special tours that feature keepers feeding the carnivores. Wolf Park, near Lafayette, is an educational and research facility dedicated to improving public understanding of wolves. Private tours give groups a chance to see the resident wolves, foxes, coyotes and bison, plus hear a lecture and ask questions. The 90- minute program also includes a handling demonstration in which the staff goes inside the enclosure and interacts with the socialized wolves. Tour members can howl along with the wolves on Howl Night programs, which include a 30-minute lecture on wolf vocalizations. In Northern Indiana Amish Country, Cook’s Bison Ranch in Wolcottville invites motorcoach groups to see where the buffalo roam. The one-hour ranch tour includes a short video, a brief lecture on bison, a Q&A session and a covered wagon ride to feed the bison herd, which is raised for its meat. Add to the package a chuckwagon BBQ lunch or dinner, served in a barn setting, with bison roast, baked beans or baked potato, coleslaw, applesauce, corn muffins and dessert. There’s also a bison burger/brat meal option. The gift shop has bison souvenirs and products. A small herd of bison was introduced in 2016 to the Nature Conservancy’s Kankakee Sands prairie restoration project in northwestern Indiana, near Morocco. Visitors can see the bison grazing from a viewing area at one of the highest points in the pasture, and there’s an interpretive area that provides information on America’s largest land mammal and the role it plays in maintaining the prairie’s ecosystem. The herd numbers 23 and may grow to anywhere from 40 to 70 in the future. Historically, bison roamed freely in Indiana, though not in the numbers found in the Great Plains. Explorers reported seeing bison in the state as far back as the 1600s. From wolves and bison to the mighty lords of the African plains, Indiana offers a menagerie of animal attractions sure to bring a roar of approval from your tour group.